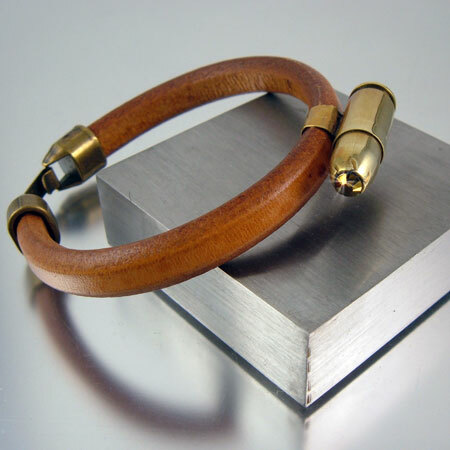 Show this bracelet off in all its glory. 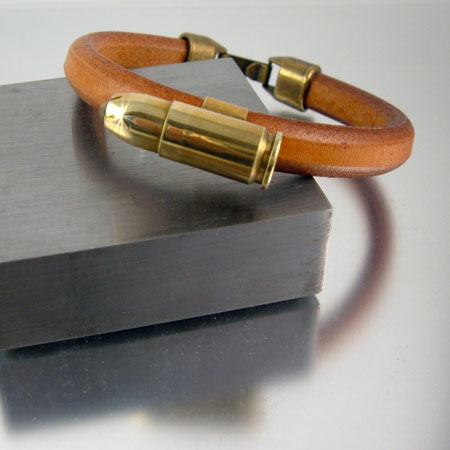 This is a bullet bracelet made with popular Regaliz European tanned leather. It's strong, thick, and feels great on the wrist. 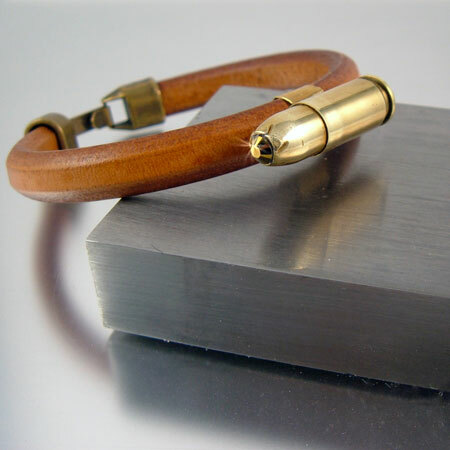 This bracelet sports a .9mm bullet forged onto a recycled brass bullet casing. Safe and very stylish to wear. A bronze crystal accents the tip of the bullet which adds just a hint of color. The natural color leather will age and darken beautifully with wear.